Philadelphia's first and only mac & cheese food truck. Popular food truck Mac Mart is finally ready to debut a permanent location on 18th Street in Center City. The new storefront opens today, May 17, at 11 a.m., according to their Facebook page. 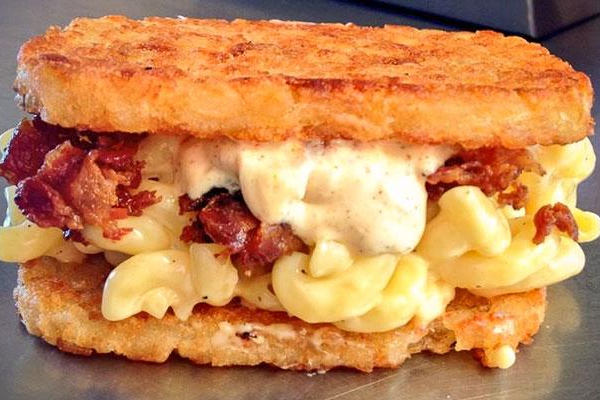 Find all the classic mac & cheese combos that the food truck offers at the new storefront. BBQ Bacon Bowl, Chicken Bacon Ranch, Buttermilk Buffalo Bowl, Mac'n Tot and the original Marts Mac are just a few of the popular cheesy dishes. The Mac Mart food truck will not be back on the streets until the Rittenhouse Row Spring Festival on Saturday, May 21.